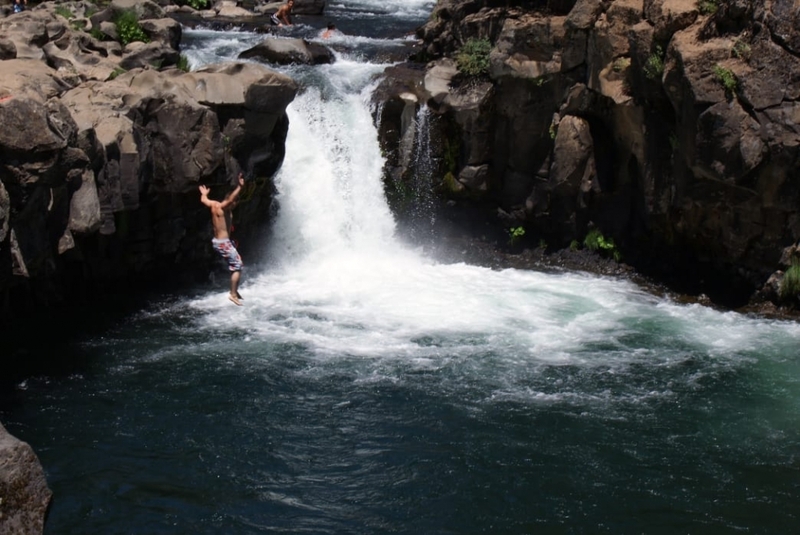 Imagine a place where a weekend can involve cliff jumping into waterfall-fed pools, backcountry skiing on an active volcano, rock climb on granite spires, and whitewater rafting wild rivers. Sounds like paradise, right? For those of us familiar with Northern California, it sounds like you can do all of that and more when you visit Redding. The mountains, lakes, rivers, and caves in the area surrounding Redding make for an incredible playground. Not only is Redding the largest city in Shasta County, but it’s also an epicenter of extreme sports and outdoor adventure. The city is located right on the I-5 corridor a couple hours north of Sacramento and is the perfect base camp for outdoor adventurers of all kinds. There’s no shortage of water or mountain activities in the Redding area, but here are a few of the top activities that will get your blood pumping. Of course, there are plenty of ways to enjoy the region in a milder way, with everything from hiking trails to bike paths that appeal to outdoor enthusiasts of all abilities. But if you like to take things a bit more extreme than most, these 10 extreme adventures around Redding are worth exploring. Backcountry skiing is an entirely different sport than skiing inbounds at a resort. While it requires safety training and gear, it delivers a thrill—and a workout—that’s tough to match. 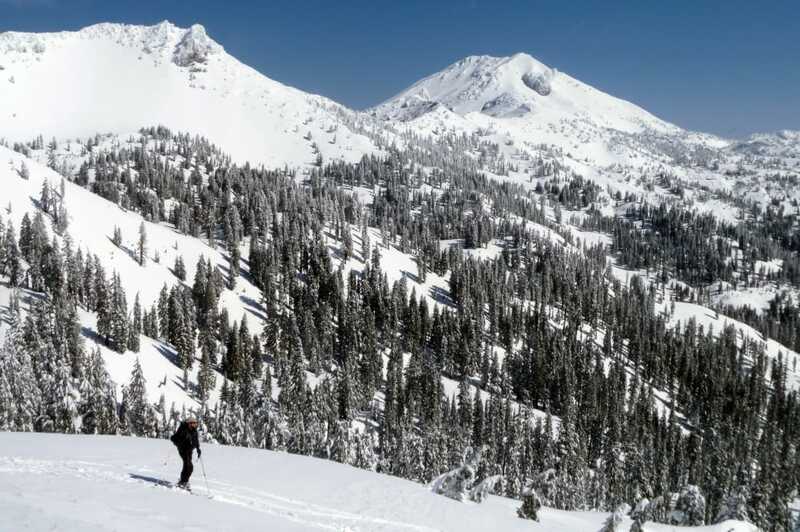 Lassen Volcanic National Park is just about 50 minutes from Redding, and it provides some of the best and most accessible backcountry skiing on the West Coast. A fan favorite within the park is Lassen Peak, an active volcano. It’s only about two miles from the parking lot to the top of the mountain, making it a quick ski back down to the trailhead. Located along the scenic Highway 89, the McCloud River features a series of three waterfalls, aptly named the Upper, Middle, and Lower. A trail snakes along the river giving you access to all three, or you can access the falls directly from the road. The Lower McCloud falls has the best access for jumping in. (Though plenty of people hike to the falls and don’t jump in.) After all, plunging into a cold pool at the base of a scenic waterfall isn’t everyone’s idea of fun. But for those who are up for the challenge, it’s an unforgettable experience. There are only two mountains that reach above 14,000 feet in California, and one is right in Redding’s backyard. Mt. Shasta is a technical climb over glaciers that takes most climbers two days to successfully summit. It’s only about six miles to the top, but the elevation gain is well over 7,000 feet. You also need crampons and an ice axe to summit during most of the year. Several guiding companies in the area are available to outfit you, teach you how to use your gear, and accompany you to the top. 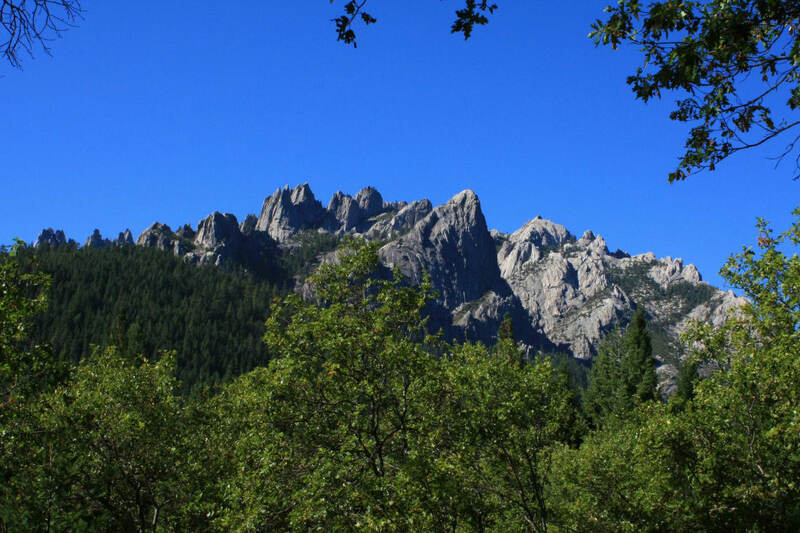 Castle Crags is a series of beautifully jagged granite pinnacles, spires, domes, and walls that will make any climber drool. Getting the chance to climb them offers true, traditional rock climbing suitable for all levels from beginners to advanced. The state park also has excellent hiking and camping as well as breathtaking vistas for those who’d rather admire the rock climbers from a safe distance. The region has lot of options when it comes to mountain biking, but two of the best are the Lower and Upper Sacramento Ditch Trails. The route for the upper trail (9.2 miles) follows the route that once brought water to the early gold miners. The easy route starts near the Shasta Dam visitor parking lot and stretches to the trailhead at the end of Walker Mine Road, and you’ll enjoy some excellent views of the dam and the river. The Lower Sacramento Ditch Trail is shorter (just under 3 miles) can be paired with the Hornbeck Trail for a 5.5.-mile loop ride. Visit reddingtrails.com to see trail conditions and find the best routes in the region that suit your riding level. It’s safe to say that fly fishing isn’t considered an adrenaline sport by most people—at least among those who haven’t tried it. But catching a big fish is indeed a thrill, and Redding is blessed with some of the best water in the country for fly fishing. 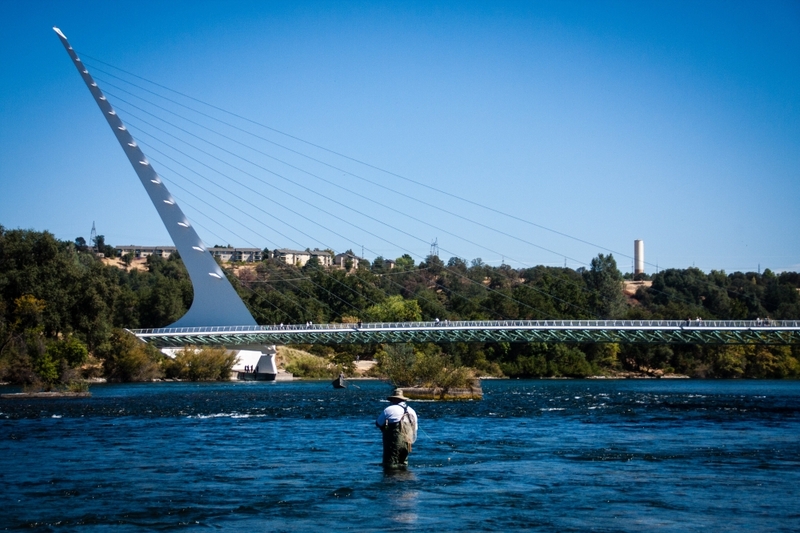 In fact, Redding was the only city on the West Coast to be named to the list “North America’s Top 10 Trout Fishing Towns” by Forbes.com. If you’ve never done it, hire a local guide to find the best spots at that time of the year. The Sacramento River, which runs through town, is an obvious choice, but the area is filled with cold water that supports excellent fishing year round. The Fall River, the Lower Sacramento River, the Pit River, and the Klamath River are all favorite destinations. 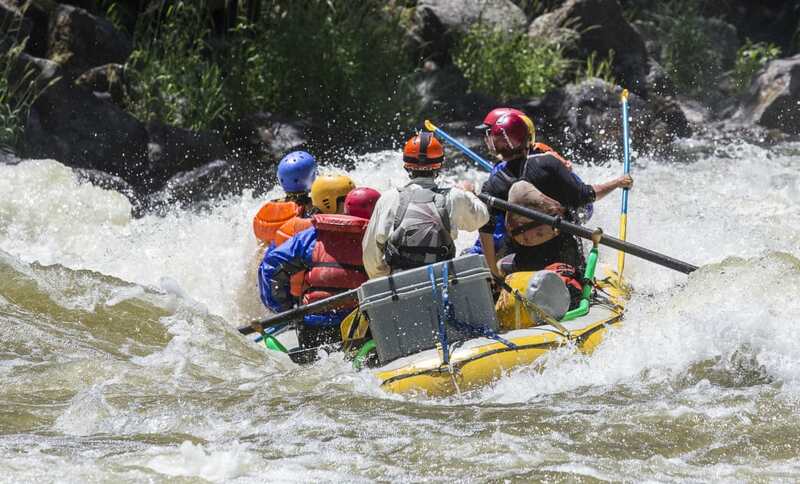 While there are plenty of gentle river floats near Redding, those looking for more of a thrill will find accessible whitewater rivers that are class III and above. The Upper Klamath offers consistently big water, and rafters love the wave trains and other features. The Trinity is similar, with an action-packed class V run through the Burnt Ranch Gorge. Find a local outfitter and be prepared to get wet. If being propelled into the air by the sheer power of water sounds like fun to you, riding a Jetovator on Shasta Lake is a must. They are one of the safest types of watersport accessories out there, and all sizes and ages can give them a try. The height is controlled by the operator of the personal watercraft, which means that it’s easily scalable for thrill-seekers looking to up the ante. No matter how you like to skim across the water, you can do it on Shasta Lake. Water recreation is what the region is most known for, and that’s no surprise considering that the 30,000-acre lake is the largest in California. You will have hundreds of miles of shoreline to explore. Ride fast on jet skis or take a ski boat and pull someone on skis, a tube, or wakeboard. Rentals are plentiful to spend a day on the lake even if you don’t own your own watercraft. The Chappie-Shasta Off-Highway Vehicle Area features more than 250 miles of dirt roads and trails for motorcycles, all-terrain vehicles, and four-wheelers. No matter what you like to ride, you’ll enjoy the view s of the Shasta Dam and Lake Shasta. Keep your eyes out for osprey, bald eagles, mule deer, and bears.